There are three predominant camps when it comes to vaccination. Parents who believe that their children are best served by (1) the science of vaccination, (2) the so-called “natural immunity” of enduring the process of infection and subsequent immunity, or (3) an alternative option to vaccination that does not rely on chemicals, microorganisms, preservatives, adjuvants or growth mediums. Let me be clear in saying that I only support one of those options – vaccination. After spending a Saturday afternoon at a homeoprophylaxis workshop, I can say that I find the third camp, the alternative option, to be the most disturbing. A parent who chooses not to vaccinate because (s)he believes that the process of infection and immunity are superior to vaccination seems to hold at least a base level of understanding of the immune system. Don’t get me wrong, I find it wildly disturbing that a parent would choose the consequences of a disease over the consequences of vaccination, but a parent in this camp is making a clear choice. This parent understands that his/her child is not protected. A parent who chooses an alternative option like homeoprophylaxis (HP) is making the admirable decision to protect his/her child against disease. It just happens to be under the veil of some seriously woo-woo “science.” This is scarier because these parents are exploring the world with their kids under the false sense of security that these children are actually protected against diseases. The bottom line is that you take a disease product from a sick person (scraping a measles pustule, collecting sputum (phlegm, snot)) and dilute it with distilled water or alcohol and then shake vigorously (succussion) to activate the “vital energy” of the diluted substance. One of the most common potency scales (based on dilution) is the centesimal or “C-scale.” This scale is based on a factor of 100 at each dilution. In opposition to how most other things work, homeopathic solutions are considered to increase potency with higher dilutions (the more dilute, the stronger it is). So, if you pick up a homeopathic bottle in the store and see something like “30C,” that is a dilution factor of 10^60 or a 1 with sixty zeros after it. It is estimated that 12C is the greatest dilution that is reasonably likely to contain one molecule of the original substance if starting from 1 mole of original substance. How does it actually work? 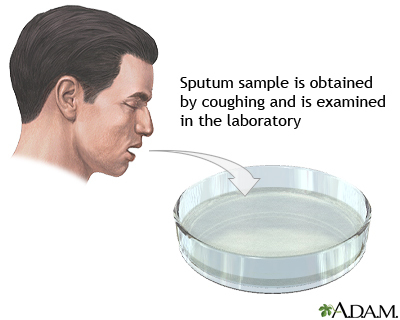 Homeopathy is based on an assumption with an unknown methodology. In other words, working models have changed over time. A current model proposes that radio frequency signals translate information from homeopathic preparation to the cells in our body. There are also discussions about whether nanoparticles of the original material are actually present in those high dilutions. Of course, that would be highly disturbing considering the starting material for HP is diseased material from a sick person. Yuck. There was a handout with the history of HP including the few highlighted studies presented in most arguments for the efficacy of HP. These studies are based on trials in Brazil, Cuba & Japan. I am not going to dissect each study, but this is a great blog post that breaks down all the problems with the Cuba study. It is also worth pointing out that the author of this handout, Fran Sheffield, has been banned from selling vaccine alternative products for five years and her business was fined $138,000 for misleading consumers about the untrue claim that conventional whooping cough vaccines were ineffective, and that HP vaccines were a safe alternative. Personally, the concept of disease energies and remedies that get stronger with dilution raises flags for me. Think about squeezing out a few drops of blue food coloring into a glass of water. Now line up a series of glasses of water. Take a few drops from the first glass and transfer them into the second. Repeat until you get to your last glass. Can you honestly look at the last glass and say that it looks more blue? 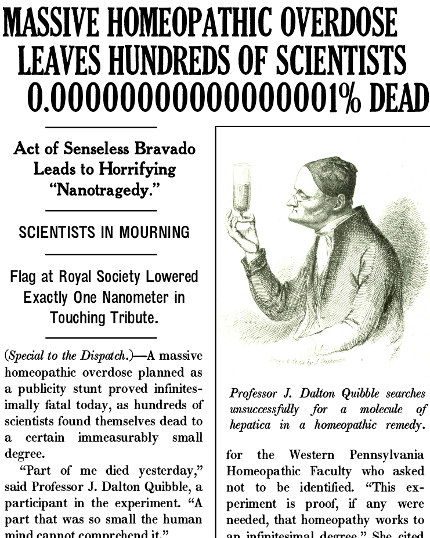 Now this is somewhat unfair since the basis of homeopathy is not about molecules remaining in the final dilution, it’s about the energy situation. So, take a sip of the final glass. Does it taste more energetically blue than the first glass? Let’s say you’re still interested in HP. What will this option cost? A payment of $395.50 covers the nosodes, shipping & a 44-month consultation with the practitioner for a family of four people. A $100 per person for disease protection does not seem so bad. Then again, the main childhood vaccines are covered under most insurance plans, the affordable healthcare act and Medicaid. So, HP is not necessarily any cheaper than vaccinations. In fact, since insurance does not cover HP, it’s likely going to be more expensive. People opposed to vaccination love to hate “Big Pharma” for profiting on vaccinations, but trust me when I tell you that someone’s wallet is definitely getting bigger when you purchase your HP program. It’s also worth mentioning that the costs associated with producing vaccines far outweigh those of dilution and succussion. Amazingly, I quietly sat in the back row and endured insults to my beloved vaccination as well as some choice quotes like, “developing antibodies is not the same as disease resistance” and “contracting the disease is not the same as getting a vaccine.” Neither of these statements are outright false, they were just delivered under the assumption that swallowing a series of sugar pills with “disease energy” provides a stronger boost to the immune system than vaccination. The 44-month standard program includes nosodes for Pertussis (Whooping Cough), Pneumonia, Polio, Haemophilus influenzae type b (Hib), Meningitis, Tetanus, Mumps and Measles. There are additional remedies available for Diphtheria, Hepatitis A & B, Varicella, Influenza and Tetanus wounds. Upon inquiry as to why Varicella (Chicken Pox) was not included in the standard program, the presenter said, “as with most alternative medicine professionals, we believe the benefits of chicken pox outweigh the risks.” Ok, let’s be honest, many of us (my age and older) made it through chicken pox with a sick week at home and a few scars. We are very lucky. Chicken Pox can be very serious, and I am extremely happy that my child had the option of a vaccination. I am also heavily biased from my years of scientific training and love of logic. I believe a selling point of HP is that the language is casual and colloquial. It feels approachable with careful seasoning of medical terminology to add legitimacy. Most of the presentation consisted of a friendly conversation guided by a series of handouts, passing around bottles of nosodes, talking about vaccine injury stories and ample time for Q&A. The presenter even provided self-deprecating humor when she cautiously read aloud the names of the nosodes, which happen to be derived from Latin (Pertussin, Lathyrus sativus). The only deep dive into science was a five-minute spiel on how HP favors a balance between T helper 1 (Th1) and T helper 2 (Th2) cells whereas vaccines promote only Th2 cells. This imbalance leads to “constipated” cells and HP can help the vaccinated body “finish the job” by helping to clear the diseased tissue out of the cells. However, not a single citation was provided to support this claim, and I have yet to find unum. So, for ~$400 you get a kit of sugar pills with “disease energy” that are not designed to create antibodies. We’re still not sure how they work, and there aren’t many (if any) peer-reviewed, tiered scientific journals reporting any efficacy beyond the placebo effect. 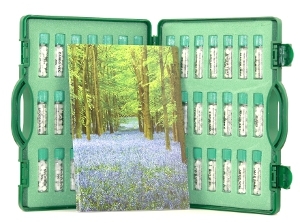 If people choose to spend money on homeopathic remedies for sleep, beauty or pain, so be it. It’s nearly a $3 billion dollar industry. However, the idea that HP is a genuine alternative to vaccination is disturbing and it affects other people. 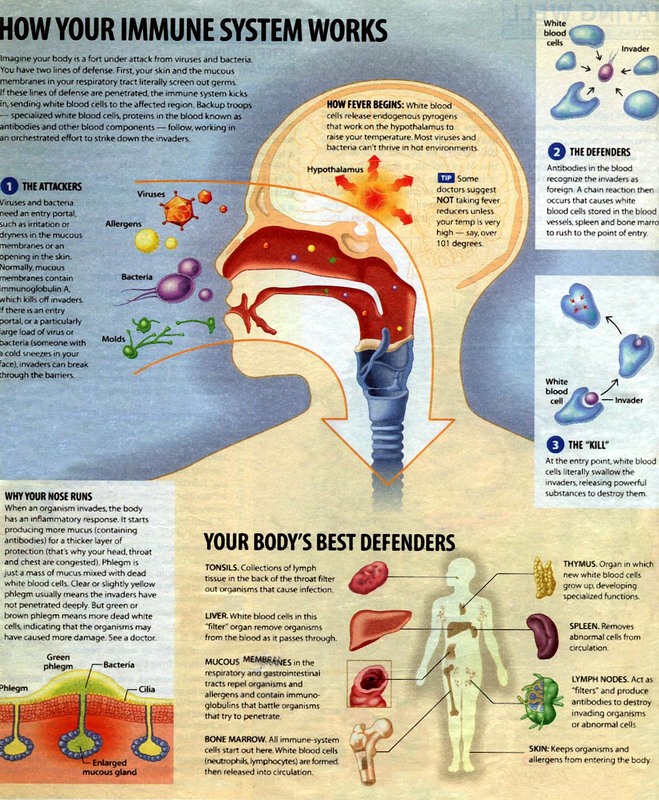 The immune system is one of the most fascinating systems in the human body. Its role in our general function both in healthy and diseased states continue to grow (e.g., cancer). It is complex, sophisticated and beautiful. Perhaps practitioners of homeoprophylaxis would agree. However, vaccinations are not scary and they provide a fantastic opportunity to do something great for yourself, your children & your community. I discussed that in a recent talk. While the idea of disease energies in water or alcohol seems easier to swallow than a syringe containing a cocktail of microorganisms, adjuvants, and other critical ingredients, simple is not always better. In fact, it may not be anything at all.